Just before Christmas, 2013, Morgan was presented with a very special gift. 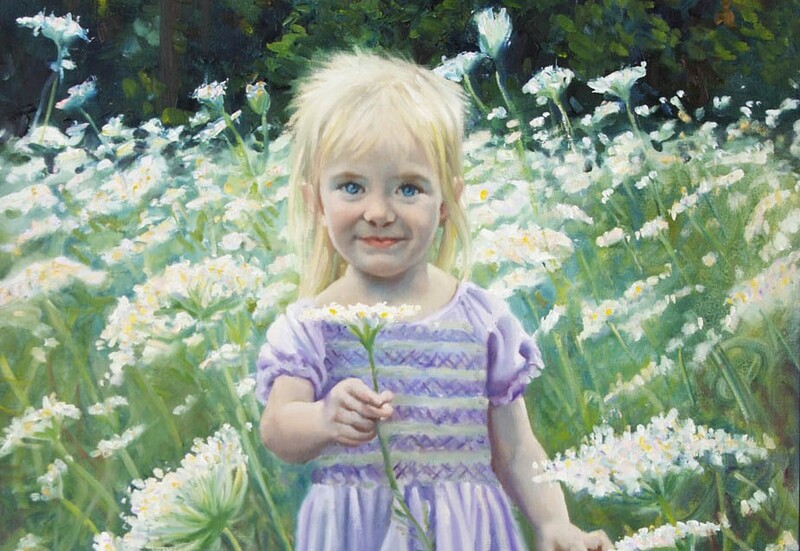 Her childhood will be remembered not only by her mom and dad, who treasured her enough to have an oil portrait, but by her children and her children’s children. 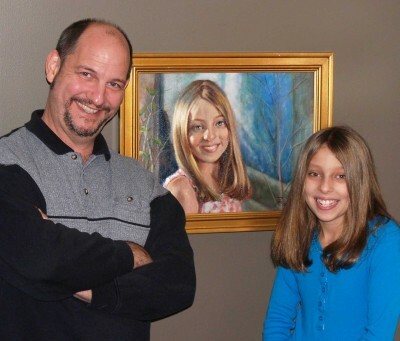 Indeed, everyone who sees this painting will know that Morgan was and is loved and treasured by her family. I set out to capture Morgan’s radiant smile. I don’t often paint big smiles in my portraits but in this case, it came very easily for Morgan. It is my hope that her exuberance has been expressed in the portrait. I can’t think of a better way to tell a person, “you are valuable; you are loved,” than with an oil portrait. The portrait has captured the inner sweetness and personality of this young models. I love people and attempt portraits. Your painting is photographic. Elaine Zwick liked this on Facebook.